As with any infographic, it’s simplified and only deals with the 7 major chakras. While blue is associated with the Throat Chakra, purple with the Third Eye Chakra and white and gold with the Crown Chakra, white or gold didn’t look right for the image so I’ve used a darker purple. From 2001, as well as using crystals to help me balance the chakras that felt most in need of attention, I started organising my wardrobe by chakra, too. I even painted my first home by chakra until a Feng Shui consultant suggested different colours for different energies as well as to avoid hurting my guests’ eyes with so many bright colours. 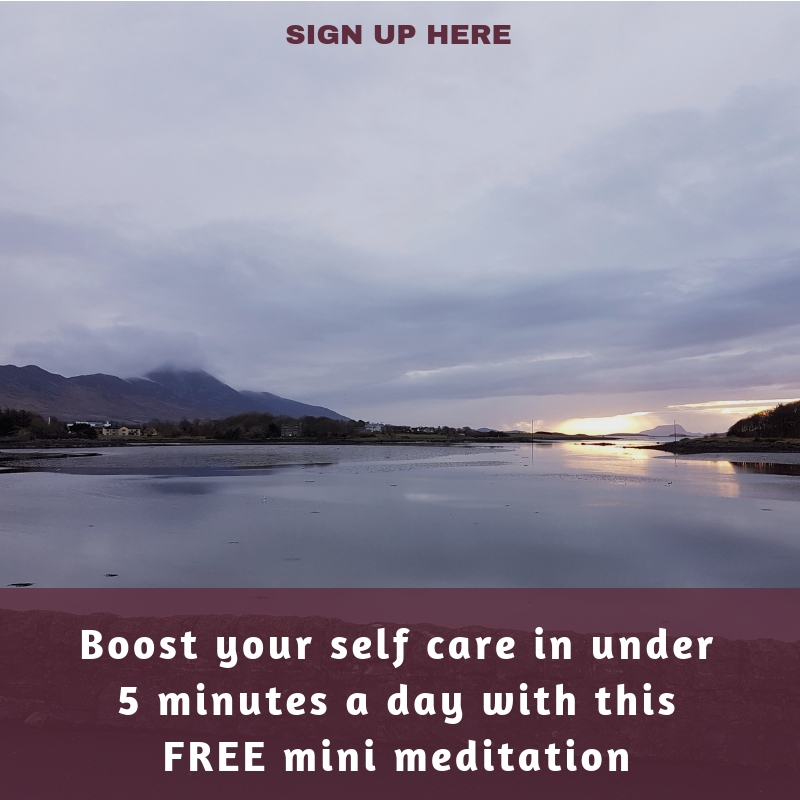 Because I’ve used the chakra system as a part of my own self-care since 2001, it made sense to create this online programme so you can, if you want to, learn to support yourself in lots of different areas of your life. When I did my yoga therapy training, I added chanting with chakras and specific poses and breath practices that can support different ones to my repertoire. I then did a Chakra Yoga training at TriYoga, London with Anodea Judith (author of Wheels of Life and Eastern Body, Western Mind). Her life’s work (so far) has been mapping this ancient energy system with Western psychologies (including psychosynthesis, the kind of counselling I trained in). As I mention in my book’s section on the chakras, they can aid mindfulness in terms of checking in with ourselves to think about which areas of our lives we might be under or overdoing. Where we might bring more balance and ease. How we can take little steps to do so. When our Base Chakra is overactive, we might overeat or be greedy in other ways. When underactive, we might fail to set boundaries or undervalue ourselves in terms of what we earn. When our Sacral Chakra is overactive, we might get too caught up in the moment with little thought for consequences. We might be too trusting. When underactive, we might feel incapable of trusting others, ourselves and life in general. We resist life’s flow and shut down our creativity. When our Solar Plexus Chakra is overactive, we might be overly confident, too ‘authentic’ – with little care for the impact we have on others – or even bullying. Underactive, we let others walk all over us and struggle to be ourselves or stand up for ourselves. When our Heart Chakra is overactive, we might be too generous. While generosity is a wonderful thing, if giving (love, time, energy, money or anything else) leaves us feeling depleted and short ourselves rather than whole-hearted and easily able to refill, it can quickly turn to resentment. Underactive, we might fail to connect with others and lack compassion for ourselves and them. We literally shut our hearts. When our Throat Chakra is overactive, we might overshare, talk too much and interrupt others. Underactive, we may struggle to speak up. When our Third Eye Chakra is overactive, we might be too cognitive, in our heads. Intellectualising everything and going round in circles. Underactive, we may fail to understand or see what’s in front of us. When our Crown Chakra is overactive, we might leap headlong into excessive spiritual pursuits without staying grounded enough to manage the other aspects of our lives. Underactive, we might shut down to that sense of connection to our Miraculous Self, Nature, God/Goddess or whatever transpersonal (beyond the person) energies you might believe in. Click HERE or below to sign up for your free Make Every Morning Better Mini Meditation audio. 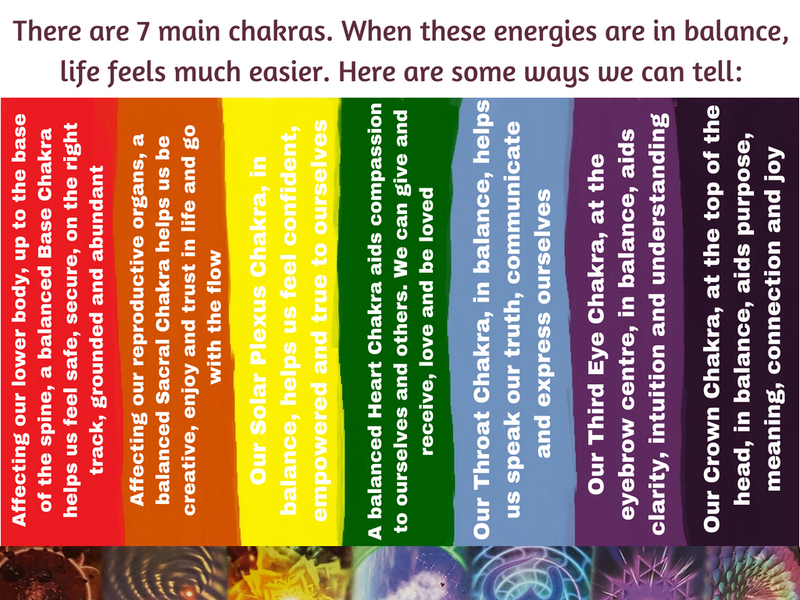 Click HERE to read about how you can learn to work with the chakras to take better care of yourself in almost all areas of your life, from finance and security to creativity, empowerment, love, communication, intuition and purpose and connection.